A brand new hotel with elegant metier rooms offering you a budget stay in the heart of Udaipur.Realising the bustling ambiance around - A well decorated and comfortable hotel situated in lakecity , the graceful ambience of Udaipur reflected in this hotel, this is one of the luxurious hotel in the city. All the rooms in the hotel is equipped with Wifi,Sofa, Tea / Coffee Maker, Chair, Almirah, EPABX Phone, attached Bath with Shower, Running Hot & Cold Water and with LCD. The hotel offers everything from elegant rooms with a view, efficient service, traditional and delicious food and personalized service Guests can indeed look forward to an unparalleled love of personal service through their stay. Above all, these are unsurpassed services beginning from the moment that the guests are greeted at the hotel. Our Reception gives you a gentle, polite and soft spoken receptionist to welcome you. Baggage Storage on Request, Breakfast Services, Laundry Facilities, RO Water Purification System, Recreation, Parking, Banquet Facilities, Airport Transportation, Gardens, Wedding Services. Daily Room Cleaning, Complimentary Toiletries, Ceiling Fan, Child Care, Smoking Rooms, Internet Access, Iron/Ironing Board, Fax Machine Room, Air Conditioning Room, Voicemail. 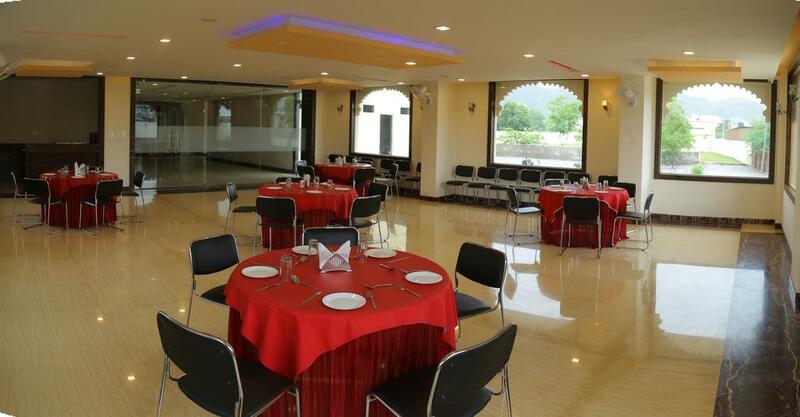 User reviews for "Riddhi Inn Hotel Udaipur"